We are proud to announce, that for the third time in a row, BoostSolutions has again bagged an award from Andy Dale SharePoint Awards 2011! 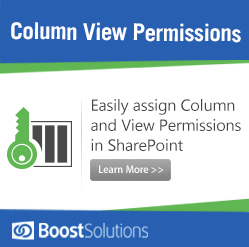 For 2009 and 2010, BoostSolutions has been presented Most Useful Web Part Award, namely SharePoint Batch Check-In and SharePoint Column View Permission respectively. But this 2011, we are now Best SharePoint Webpart Provider! Check out the rest of the winners here. Andy Dale SharePoint Awards may be described as one of the sought-after award bodies in the SharePoint world. A company being nominated then getting awarded signifies that that company is authentic and reliable. Andy Dale (MCSE) is a Senior SharePoint Consultant for UK SharePoint specialist Office Talk. Like BoostSolutions, Office Talk are a Microsoft Gold Partner, located near Birmingham, who specialize in everything SharePoint. He is also one of the creators of SharePoint Village. 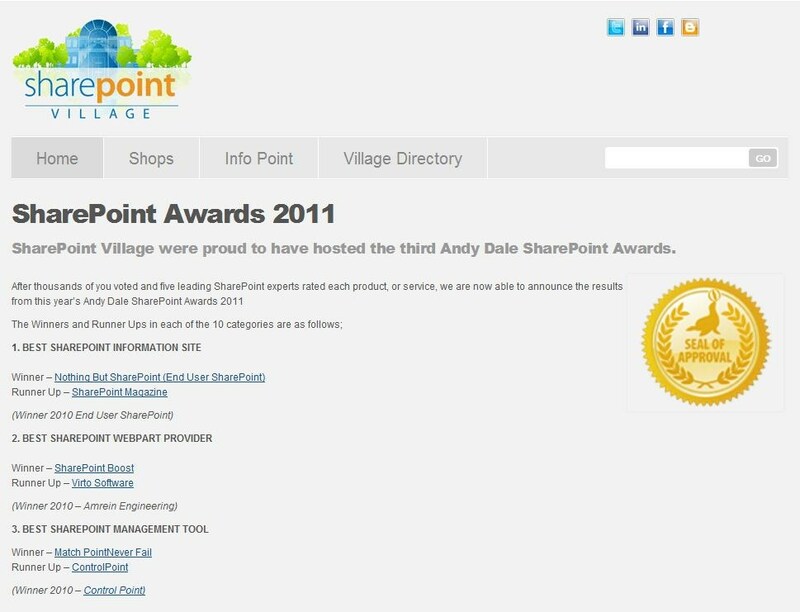 For the third year, Andy Dale SharePoint Awards has been hosted by SharePoint Village. SharePoint Village was developed by Action SharePoint Limited (who trades as Office Talk), is a one-stop place for everything SharePoint. From reliable sources for SharePoint Consultants, Software, Web Parts, Trainers, Designers to tutorials, tips and tricks about SharePoint. 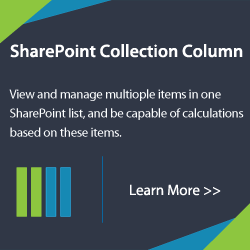 BoostSolutions, a Microsoft Gold Partner, has released several popular and innovative SharePoint web parts and add-ons like SharePoint Cascaded Look, List Collection, Batch check and so forth. More than 2000 customers around the world benefited from these useful products. 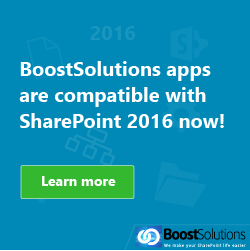 Just in the first quarter of 2011, BoostSolutions has already released two products: SharePoint Outlook Integration and SharePoint List Sync. Another new web part SharePoint Workflow Boost is set to release in early June. Most of the products are compatible with SharePoint 2010 and 2007. 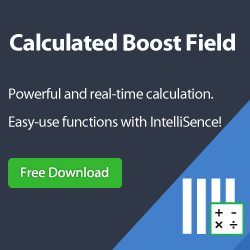 Users can download 30-day free trials from www.BoostSolutions.com. If you have any requests, comments, suggestions regarding BoostSolutions products, hit us a line at marketing@BoostSolutions.com.